The Media Company of the future. -ZINE MEDIA is a modern media, digital publishing, and marketing company, designed for the social age and dedicated to a network of lifestyle niche publications, serving well-defined audiences and markets exclusively for tablet devices. With an array of back-end functionality and new digital properties, our publishing and e-commerce platforms seamlessly integrate content, community development, commerce and marketing into a beautiful experience that connects readers in very personal ways. T-ZINE, our trademarked name, denotes a tablet-only publishing focus. Our new transactional frame¬work ensures audience engagement and opens an entirely new revenue stream in the publishing industry. Today, the lines are blurring between where readers consume content and how they make purchases. The T-ZINE MEDIA technology platforms build richly interactive digital publications, provide better media experiences for readers, and create a direct approach for advertisers to successfully integrate marketing messages into the editorial experience. Our vision is to shape the future of publishing and enable people to join the publishing revolution. We aim to be a fresh, revitalized voice in contemporary media and publishing—one that welcomes collaboration, stimulates awareness, and engages, entertains, inspires, and enhances the lives of people. We seek to lead the transformation of the media, publishing and marketing industries because we are at the forefront of new technology and innovation that provides enduring lifelong member relationships. This is done by creating quality content that is informative, useful and deeply engaging beyond expectations. This provides marketers with an exceptional way of promoting their products and services that accelerates sales, increases revenue, and drives ROI. We proactively identify and develop strategic partnerships and relationships to enhance content and services and build an unrivaled platform that delivers. T-ZINE MEDIA sees the future of publishing one story at a time. Every one of our publications has its distinctive character, which makes it something very personal for every reader. We’re a motivated group with an insatiable thirst for achievement and focused on driving growth in imaginable ways. Create broad variety of niche interactive publications that serve well-defined readers and markets, and deliver the messages of marketers through our interactive engaging content. Build communities and enduring lifelong member relationships through the development of quality, progressive lifestyle digital publications that drive purposeful conversations. Drive revenue, but also deliver positive social impact through cause-marketing initiatives that build community-based relationships and brand equity. Provide marketers with a robust suite of interactive advertising innovations that accelerate sales, increase revenue, and drive ROI. Provide investors and stakeholders with superior return on investments by taking full advantage of tablet devices’ functionality, uniqueness, and newness. 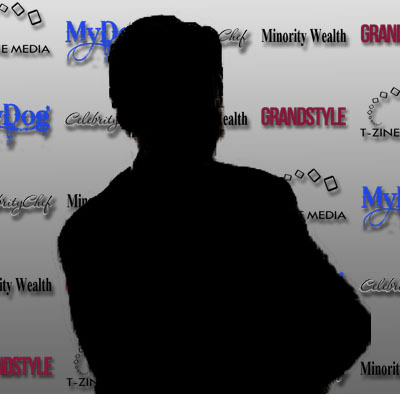 Kim Malcolm is the Founder, President and Chief Marketing Officer of T-ZINE MEDIA. As the visionary leader of T-ZINE MEDIA, he drives the company’s efforts to develop creative, innovative ideas and solutions to transform the media and publishing industry, while setting the strategic business direction. He also continues to guide the development behind T-ZINE MEDIA’s innovative technology platforms. He manages and executes T-ZINE MEDIA’s overall business strategy while leading the company’s overall sales, marketing, and media solutions initiatives. Kim has spent more than 20 years working at prominent companies and is deeply experienced as a marketing leader in the publishing, entertainment and financial services industries. Prior to T-ZINE MEDIA, Kim worked at Sony Corporation of America as Director of Marketing, where he managed the company’s loyalty management and co-branded credit card loyalty division. Prior to joining Sony, Kim spent 11 years at Dow Jones & Company, Inc., where he held a variety of key executive positions and was the recipient of their “Corporate Identity” Award for Communication Excellence for the development of The Wall Street Journal’s identity campaign. Before his time at Dow Jones, he spent five years as Vice President of Marketing and Circulation for Class Magazine. He began his publishing career at Thomaston Publications, Inc., as Marketing/Sales Director, where he developed advertising, marketing, and sales campaigns to enhance the visibility of 12 consumer publications. After only 2 years, he was selected to head operations of Thomaston Typography, Inc., a corporate subsidiary providing typesetting service to the publishing and advertising industries. Kim is a graduate of Long Island University where he holds an MBA and BS degree. Editor In Chief of T-ZINE MEDIA will oversee editorial direction of the company’s portfolio of publications. Also lead the company in development of special editions. 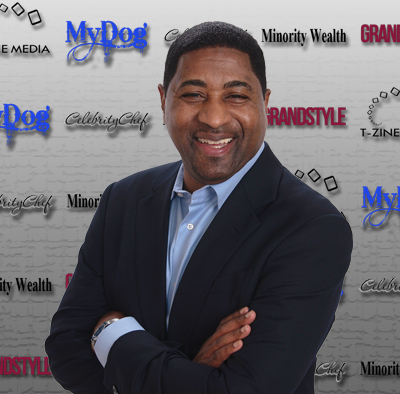 Jeff Wilson serves as General Counsel and Advisor to T-ZINE MEDIA. He is responsible for overseeing the company’s legal affairs, as well as advising on corporate communications, public relations, and organizational changes, while supporting business initiatives and the bottom line. He is a solutions-focused, motivated business attorney with a broad background in executive management, corporate governance, regulatory compliance, and contract administration. Jeff has specialized in the investment and financial services industry and proficiently provides strategic legal and business advice. Jeff has expertise in a broad range of fields and industries, including securities law, regulatory compliance, joint venture and acquisitions, commercial transactions, intellectual property, contract law, employment law, advertising law, and litigation management.For over a decade, Jeff served as Chief Legal Officer (“CLO”) of The Weiss Group, LLC, a financial services holding company, as well as personal Counsel to its Chairman of the Board, Martin D. Weiss, Ph.D. He began practicing law with the New York Stock Exchange’s Division of Enforcement (now known as FINRA), as a Senior Special Counsel. Jeff earned his law degree from Howard University School of Law and his undergraduate degree from Long Island University. He also holds a Certificate of Mediation from the Cornell University School of Industrial and Labor Relations. A native New Yorker, Jeff is admitted to practice by the New York State Bar Second Department, United States District Court S.D.N.Y., United States District Court E.D.N.Y, and the District of Columbia. He also served on numerous charitable, government and not-for-profit boards and committees, including Financial Publishers Association, Inc., Childrens’ Place at Home Safe of Palm Beach County, the Tico Torres Children’s Foundation, Fund Raising Committee, Palm Beach (Tico is the legendary drummer of the Bon Jovi Band), and the N.Y. State Governor’s Judicial Screening Panel for the Second Department, Basil A. Paterson Chair. 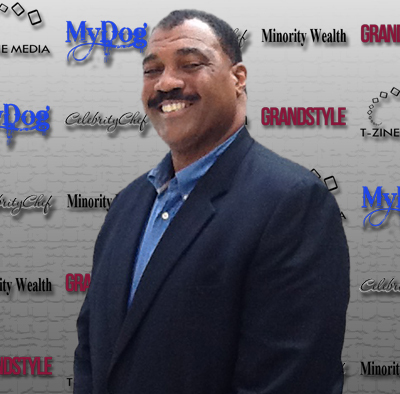 Terry Thomas is T-ZINE MEDIA’s IT/Technology Officer. He is dedicated to overseeing specific technical and operational activities to support T-ZINE MEDIA’s mission to evolve its technology vision and drive innovation. Terry provides an essential combination of business and technical expertise to support marketing and communication functions, as well as maintaining T-ZINE MEDIA websites, IT tasks and user support. He has more than two decades of information technology experience and provides strategic technical leadership for new business opportunities and leads new product innovation and development. After a successful 22 year U.S. Navy career, Terry worked at the Seattle marketing firm of Stu Heinecke Creative Services Incorporated, where he identified, recommended, and prioritized new web features and applications, created and developed CGI scripts, and tracked and evaluated new standards, technologies and trends in website development, design and delivery. Terry maintains that today’s Internet and Internet mobility have changed our lives in more ways than the invention of printing press, and he is proud to be a part of this information revolution.